When it comes to being in a world that is based on being able to survive, you are going to run into those people who believe and are interested in zombies. Are there people out there that really do believe in zombies? Uh, yeah. There are a lot of people. What many dooms day preppers believe in that if some nuclear or biochemical attack happens, and some stuff really goes down, humans will become zombie like or even become zombies like in the Walking Dead. For example, they will become psychopaths that are all about surviving and they don’t care if they have to rip your flesh open with their teeth, they just won’t care about your survival. 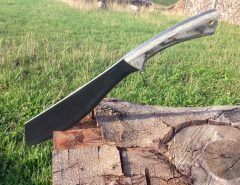 Many zombie machetes are pretty much useless as a survival machete in the wilderness because they won’t process wood well but they do look cool and they do work against softer targets, like zombie flesh. 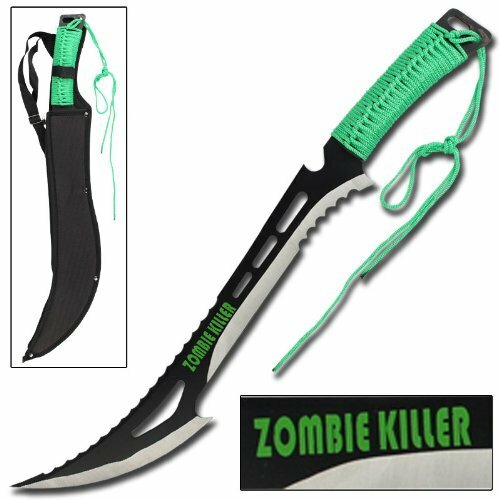 If you are wanting a real zombie machete that will help you to process your survival in a doomed world, then you need to check out these really cool zombie machetes that are listed below. They will be able to carve rotting flesh without any issues. You might also be interested in a combat machete. 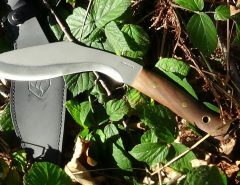 If you’re looking for a real machete for survival situations, check out the Condor Heavy Duty Kukri. Below I’ll list my favorites and hope you guys enjoy them! This actually ranks pretty well at Amazon – 4.3/5 from over 200 reviews so not only does it look cool, it actually works. This is the bad mamma jamma of the zombie world. It is around 25 inches long, so you will have plenty of room without being bitten to slice the head off a zombie. It is made of AUS-8 stainless steel and has a sawback blade. That means that you will have a chance to really cut through flesh and if needed some bone. 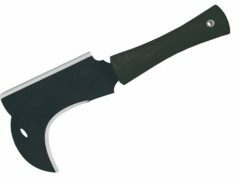 This has been branded as the best machete for zombies. It is a top 10 recommended product in most 2015-2016 reviews. Most people enjoy it because it is so strong, while others believe it is the flexibility that make what it is. I find that the high swing speed is quite irresistible. That means when I go to swing it, I can do so with ease. It does come in a box, and you will need to sharpen it before you begin using it. I have quite a sharp edge on mine. The full tang blade, once it is sharpened is quite sharp, really flexible, and has some stylish cutouts that lower the weight of the blade that doesn’t even compromise the performance. I find this great, considering that a 5 foot 3 woman can wield this without dropping it. 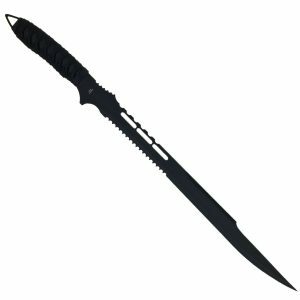 It has a rubberized grip that makes the handle really comfortable to hold, and it comes with a pretty durable nylon sheath that makes it easier to store and transport. One of the best parts that many people enjoy is the fact that it is made in Georgia, USA. 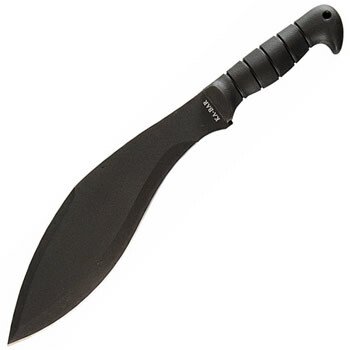 There are a few issues such as the fact that the sheath is cheaply made. The sheath isn’t sewn together quite right and the Velcro at the top should have been a snap closure instead to give a bit more security. But, it does attach to your belt easily. Another good thing about this machete is that is weighs less than 1 pound. That means it doesn’t really weigh you down like other types of machetes. It only comes in black, but that works for a lot of people. It does have the United Cutlery logo on the blade, but you can remove it with a bit of sanding. 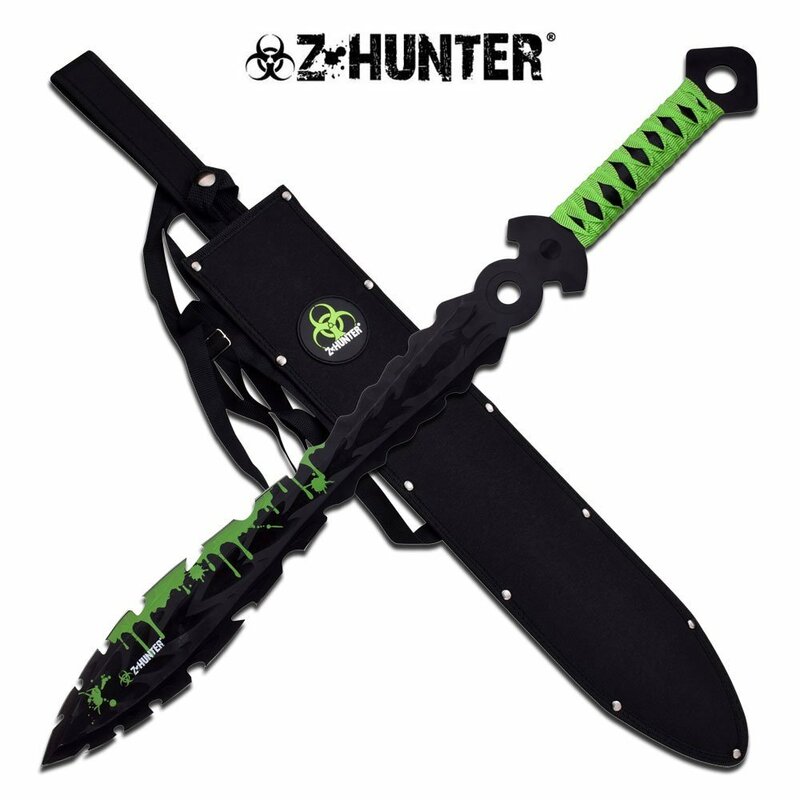 This comes in second on this list only because I couldn’t pick just a top zombie machete. As you prepare for an upcoming zombie invasion, there are going to be a lot of weapons out there, people will be looking for a quite effective one and this is it. This machete is also known as the head decapitator. It is so sharp that it can remove the head fully from the rotting neck of a zombie. 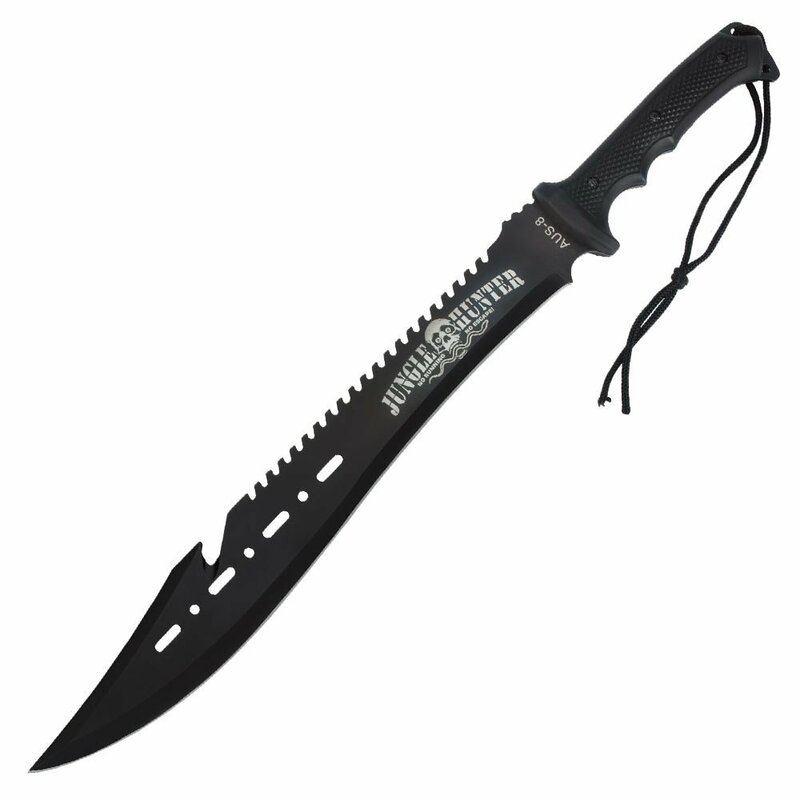 This is certainly one machete you want to have on hand to defend your home and your family with. Zombies can be pretty ruthless when it comes to their thirst for blood and guts, and this is the weapon that you want to prepare yourself with. It does perform in a crisis. The Zombie Killer machete will be able to defeat the most aggressive zombie with a swing. It is around 24 inches long and the blade is made from 17.5 stainless steel that is razor sharp with serrated edges. It has a 6.5-inch-long handle that is covered with a comfortable cord. This machete also comes with a black nylon sheath that will keep it protected while you travel the roads like they do on the Walking Dead. 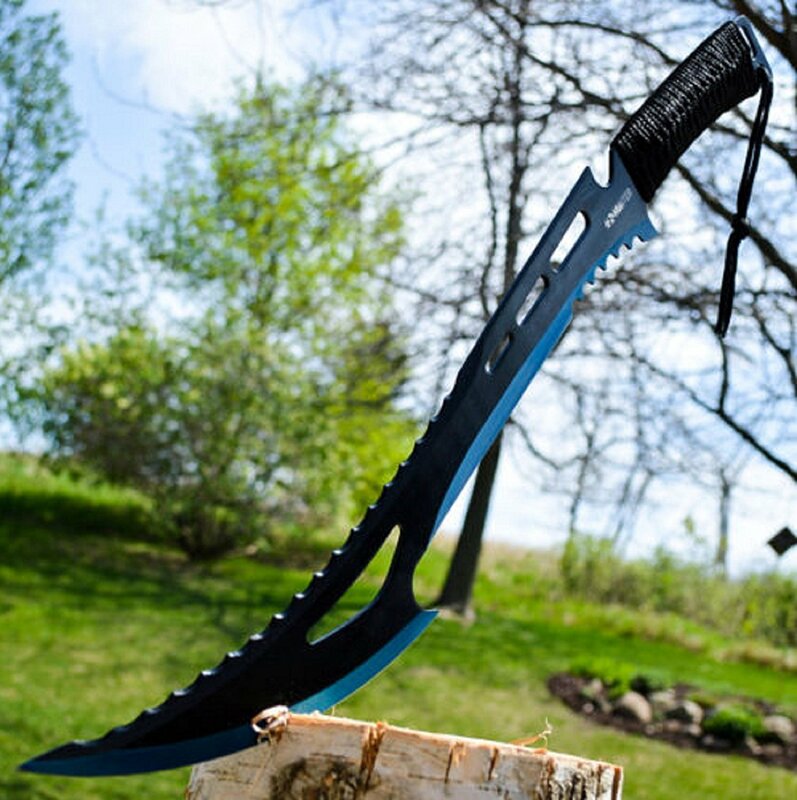 This is one machete that will stop a zombie in its tracks. It doesn’t weigh a whole lot, so it doesn’t really weigh you down. It is easy to swing and the handle is really comfortable to use. The only issue that I seem to have is that the sheath isn’t well made. The blade is exceptional. It is a bit thicker than others, but it has a unique look and does what it says it will. It comes sharpened right out of the box and is ready to use. This is one machete that will keep you busy. Not only will it cut through rotting flesh and even tree limbs. 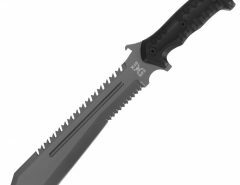 When it comes down to having a zombie ready type of machete, the first two machetes will be what you need. Pick one and start swinging at your zombie enemies, if there comes to be a zombie apocalypse. 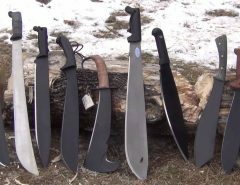 Having a machete is certainly one way that you can have a piece of mind that you will be safe when scavenging for food and needed items when you are setting up a safety camp. 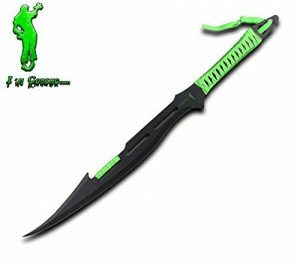 You can be just like Rick and Darryl as you destroy zombies with these cool zombie machetes that will have your back when you are fighting your way to safety. Check price. In the survival world you’re always going to come across people interested in zombies. Do people really believe in zombies? I’m sure some do. What many preppers believe in is that if there is some sort disaster and the shtf really happens, that humans will become zombie like. i.e. they’ll be ruthless psychopaths intent on their own survival which means they won’t have any consideration for your survival.